Minor league baseball teams are an important component of summer in many smaller U.S. cities. baseball is much more of a laid back past time with the local minor league team carrying the banner. 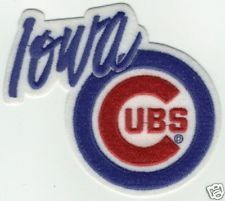 And what better way to showcase the hometown baseball team than a colorful embroidered patch logo. Minor league baseball teams are a huge source of pride and identity for smaller cities, and fans turn out with great enthusiasm, knowing they are seeing future MLB superstars improving their skills and moving up through Class A, Double A and Triple A ball before making it to the big leagues. The Chicago Cubs AAA affiliate is also known as the Cubs. 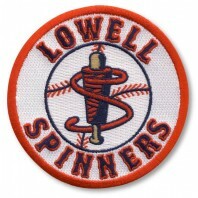 The Lowell Spinners get their name from the town’s textile heritage. directly from the parent club – the Pawtucket (RI) Red Sox, Tucson Padres and Iowa Cubs are just a few of the teams following this pattern. Impressively designed logos, captured in the artistry of embroidered patch design, provide a vivid color image of the team. Worn on the players uniforms and shared with great pride by the small city (and not so small cities of AAA affiliates) fan base. Sport fishing is big in Pensacola, Florida. affiliates that have been renamed or shifted to newer designs, are extremely popular with collectors. Internet trading and auction sites are filled with a wide variety of minor league baseball embroidered patches. You can learn more about creating a customized embroidered patch from the Chicago Embroidery Company for your baseball team (or anything else) by visiting http://www.c-emblem.com, emailing sales@c-emblem.com or call 312-664-4232.